This EmbraceRace webinar, Understanding Racial-Ethnic Identity Development, was held on May 23, 2017 as part of our ongoing, monthly series on topics at the overlap of race and raising kids. Racial-Ethnic Identity Development is a HUGE topic and we were thankful that one of our favorite collaborators in this work, Dr. Sandra “Chap” Chapman, agreed to lead this overview of racial-ethnic identity models — how and why they were developed, and how to use them to understand our own racial-ethnic identity journeys and to support the happy, healthy and just development of the children in our lives. EmbraceRace co-founders, Melissa Giraud and Andrew Grant-Thomas, frame the discussion and facilitate Q & A. FIND THE RESOURCES & MODELS Dr. Chap references at her website. For the deep divers, an edited transcript follows. Andrew: What is the payoff, what is the benefit of understanding racial-ethnic identity models? How will it help us in our day-to-day as racialized people, and when it comes to race and raising kids? Dr. Chap: We all have to make sense of our identities. Our racial-ethnic identities are strands of our identities that we have to make meaning of. We have to come to what the theorists call an achieved identity. The models help us to make sense of the journey that we’re on, because our identity development is an actual journey. It’s not a final destination, it’s a life process from the time we’re about infants all the way until our old age. We’re constantly in reformation about our racial and ethnic identity. I had this experience recently that made me think about why we should be making sense of our identities through these models. Learn more about Dr. Chap at her website. Dr. Chap: So I’m a I’m a Manhattanite. I live in Manhattan. I don’t know Brooklyn very well even though I grew up in New York City and so I was in a cab the other day and I was trying to get to a destination. I was using Google Maps and I couldn’t make sense of the route that the driver was using. So I asked the driver, why is she going in this direction, why did she just make that turn … of course I was frustrating her. She looked over at my app and she said, “Well, you’re using Google maps, I’m and using Wave.” I didn’t even know there was a whole other device to use to make sense of the journey. A racial-ethnic identity development model is like your own personal navigation device. It’s the thing you go to to help you make sense of your journey to wherever it is that you’re heading. Why is this important? I think you named it. We are racial beings. We live a racialized life and if we can make sense of the ways in which our lives are being bumped up against with race and how we can make sense of those moments that are stressful and tense — the micro-aggressions that we’re experiencing — it helps us to recover and to retell the story in a very different way. So the models have helped me personally and it’s also helped me in my profession. Melissa: Every so often, I look to racial-ethnic identity models to figure stuff out and I often find them inaccessible to me, I think in part because the context in which I read them is pretty academic and I don’t then hear lots of applications. And the other reason is because there isn’t a model that fits me perfectly as a biracial, white appearing, child of immigrants from different countries and on and on. Is that a common experience? Dr. Chap: So I think what you named is a really important thing to state and to affirm again about the models. They have limitations. Not all models for any particular ethnic group is going to meet the needs of every individual who uses that racial language or label or construct. I like to use the models as a starting place for us to be able to tell our own racial story. All those other aspects of your identity that you name are just as important as your racial constructs and one informs the other. Melissa: And today we are going to start by looking at adult racial and ethnic identity development. How does our understanding of our own development help the kids in our lives? Why start there? Dr. Chap: The primary reason is we have a perspective that young people just don’t have. We have personal experiences. We have family upbringing, community, a time period, memorable events … and all of that shapes who we are as adults. Those things didn’t shape our children or the students that we’re teaching because they’re being shaped by other experiences. However, racial socialization happens in schools and in homes and in communities. So as adults raising children and wanting to raise healthy children, we have to make sense of our own stuff before we can try to unpack and make sense of children. Dr. Chap: Between the ages of 2 and 5, young children are trying to make sense of ALL parts of who they are. And one of the reasons why I love this book, “Sneetches” by Dr. Seuss, is that it’s a perfect example of the fact that adults are informing young children and they can either affirm their experiences — they have stars, they feel so privileged, they’re so important and validated and affirmed — or, wait I’m not so sure maybe there’s something missing in who we are? And that information can also get translated to children as well. What’s my race esteem? How do you think about the group to which I belong? So our children are taking in a whole lot of information between the time they’re about 18 months when they actually notice skin differences and skin colors, to the time that they are three, four and five years old. That information doesn’t lead them to be prejudiced just yet. It just is informing the beginning stages of understanding that people have identities, that there are categories of people, that some people are treated a certain way because of those identities. It isn’t until they’re much older that they start to then use that information to move towards being prejudiced towards others. So being pre-prejudiced — 2 to 5 or 6 year olds — can move into being prejudiced when children are older and no one is informing them differently about all of those identities and all those groups of people. So the development of one’s self, or self-concept is what some researchers call it, is a really important part of who we are and making sense of that means looking at this as a math sentence. Right. So personal identity + our reference group — who we refer to as our group — together equal our self-concept. Self-concept is self-esteem, sense of worthiness, a sense of who I am and in the world. Part of what we want to make sure that we’re doing is providing opportunities for children to develop a healthy sense of themselves, and for adults to develop a healthy sense of who they are, both the person and the group reference. Personal identity includes all of these aspects of one’s development. A lot of that is informed by the adults in a child’s life — self-esteem, self-worthiness, personality traits. This is what the individual brings to their understanding about themselves. But they also have to make sense of the group that they belong to. And because we’re talking about race, these are racial conversations. Racial identity, group identity. What’s my race esteem? How do you think about the group to which I belong? For children who are developing in a majority situation where their personal identity and the group they belong to is referenced in positive ways, their self-esteem and their self-concept, sense of worthiness in the world, is positive. [In contrast], when the reference group has negative things about them being said about them in society and in the world, that causes a little bit of an interruption in that development of the self. Why Modern Racial-Ethnic Identity Models? When they were first created in the 30s in the 40s, a lot of them had the goal of thinking about people with psychological problems. And then in the early 70s and 80s other researchers came around and said, between the Civil Rights Movement, the Black Panthers Movement, researchers — black researchers in particular — came around and said, that doesn’t actually fit our story anymore. We are all about liberation. We are all about empowerment. And so we need a new way of talking about ourselves as Black people, African American people. And that was one of the first model that was created, the African American model or a Black model. And then many other ethnic groups created models with that as a foundation. And so when we look at the 1970s-80s into even the 2000s, the models that have been created they generally have this flow. There’s first the stage of …I have no idea that I even have an identity. So I have to be awakened to the fact that I have a racial-ethnic identity. But then I have to make sense of it. I have to make meaning, and that’s the exploration. What does this mean? I’ve been told that I’m Asian, I’ve been told that I’m African-American, I’ve been told that I’m Latina … I have no idea what those words mean to me. And then comes that exploration. Once that exploration has happened, then you see individuals start to take control of their identity. They get to a place where they can no longer be worried about what people perceive them to be but they can actively say, “No, I am! These are the words that I want to use.” So they get to that last sort of stage of empowered identity. So this is a general flow of almost all of the models and I hope that when folks here dig deep into some of the models that they experience this sense of, I remember the point where I didn’t know I even had a racial construct. I remember the place where I had this experience and I had to make sense of what that meant for me. Or I feel like I’m in this place in my identity. I’m going to talk through William Cross’s African-American/Black identity model as one of the early models that were created for racial-ethnic identity development. I’m going to use his as a foundation because many of the other ethnic and racial models were using Cross’s work as an early foundation. So it’s a good place for us to start. I’ll spend a lot of time talking about this one, and then we’ll go through some of the other nuances of the other models. And then I’m going to spend some time talking through the white identity model as a distinctly different model than the models for people of color. So William Cross talked about those early stages for a person of color being the pre-encounter. This is the time when even a person of color or Black person might say, I don’t see myself as a racial being. I’m just human. I don’t think that race matters. Race is not why some people have opportunities and others don’t. So that’s that early stage. And that could be an adult. This could be a teenager who has a colorblind ideology or a colorblind thought like race doesn’t matter, I’m just a human being. Oftentimes it’s a child who just doesn’t have the language to describe themselves as having a racial identity or ideology. With multiple experiences with race — bumping into race, I like to say — there’s this moment where a person says, “Wait a minute. Race seems to be a constant factor that’s impacting my life.” Not the only, but certainly it’s present. Because there’s also gender and social economic differences and sexual orientation and gender identity, so lots of other identities may be informing a person’s experience but at some point, a Black person, an African-American person may realize, race does have an impact in my life. I’ve had enough encounters with race and racism to realize that I need to make sense of what that is for me. And that’s where the need to bond with people who identify in the same way that you are. This could be your adolescent in middle school actually pre-adolescent or an adolescent who is really seeking friendships of people who are within the same racial group. But this could also be an adult who has been surrounded by perhaps white communities or white school systems and is trying to make sense of what does it mean for me to be a black person, what does it mean for me to be African-American? Those multiple encounters then lead to like I said the bonding, the need to immerse. That’s sort of that first one. Immerse oneself in Black culture, African-American literature, history classes, cultural events — really getting a deep dive into what does this mean to be African-American? What does it mean to be black? How do I make sense of that? That immersion is something that we’re going to come back to after we get to the end of the model because it’s actually an important part of development that is often missed and misunderstood. But after first it has felt like they’ve had sufficient — whatever sufficient means for that individual — exploring who it is that they are in the moment, they’re ready for emersion out of that and get into sort of more collaborative conversations diverse groups. Perhaps they’re ready to learn about different ethnic-racial groups, engage in diversity conversations, take part in initiatives that are going to meet the needs of larger groups of people not just the black community, for example. Because they have that sense of I know what I need and they know what I want and I know who I am. And from that vantage point I’m really ready to dig in to authentic conversations and authentic relationships with people who are different than I am. Then you get to the stage where the person feels very committed, not only to who they are — that’s the empowered self, but now they’re also committed to their community. Now they’re very invested in trying to figure out, how do I help those that helped me? How do I give back to my community? So this is sort of a general flow of the racial model for African-American/black people. What happens is, as we encounter other moments in our life where there’s a racialized moment, a racial micro-aggression, some racialized experience, we now have some perspective. Maybe it’s a moment where you need to reconnect with people from your group. Maybe it’s a moment where you just have to re-evaluate, “You know what I’m good. I understand myself, I know who I am. This is racism at play, not something I have to internalize.” And you can find strategies to help the person who made that comment or was the source of the stress, or just find ways of moving away from the situation because you realize, I’m not going to change that situation in the moment. I need to continue to do self-care. So these encounter moments, one will always have them. They happen on a regular basis for some of us. And it’s now this new vantage point. The one thing that you won’t ever return to is the pre-encounter. Right. Because once you’ve become aware of racism there’s no shutting that down. It just exists. This more recent model for Latino/a/x American identity model [Ferdman & Gallegos, 2001] is notable because it is not a staged model like many of the other ones. Instead, it talks about Latino/a American identity as an orientation. Then there’s a sense of shame, “I’m shouldn’t be using Spanish language. I don’t want to be caught speaking Spanish.” Then there’s the realization, “Wait a minute. I do have a particular group of people that I belong to. I’m actually not white. I have to make sense of what it means to be Latino.” Until one reaches the empowered sense, Ruiz’s staged model is distinctly different from the Latino identity as orientation model. Do I find myself in a Latino-integrated stage? I’m just a complex person and I’m interconnected with other groups but I’m also understanding who I am. Or perhaps I’m a Latino-identified my particular group is Latino and that’s how I identify and that’s the group to which I belong. Or perhaps one is proudly a Dominican/ Puerto Rican as I used to say when I was in high school. When I talk about myself in high school I was just a Puerto Rican/Dominican. I’d never even use the concept of Latino. It wasn’t until I got into college and I started to see the relationship between my Dominican/ Puerto Rican background and then some of the South American friends I had and other people from other Caribbean islands that I associated myself then with other Latinos and I became Latino identified. And I go back and forth between being my subgroup identified and Latino identified. But then there are these other orientations, perhaps skin color has an impact on one’s being white-identified. Perhaps there is a sense of I’m just other because the narrative that I grew up with is either black or white. And so I’m just other, I’m of a different category. So I just wanted to point out the distinct differences between this model [which describes common orientations to Latino identity which people can have and move between]. The orientation model asks, where do you find yourself? Whereas Ruiz’s Latino Identity Development model is an actual staged model, similar to William Cross’s. Dr. Chap: Here is the similar Asian identity model. The premise is that the race narrative in our country is black and white. And also the myth of the model minority has impacted how the Asian community identifies. In the beginning there is the ethnic awareness of the group that they belong to. And then sometimes it’s during adolescence that one moves into trying to figure out, “Well, am I white? I’m not black? So where do I fit in? And then there’s the awakening, moment of, “Wait, I have a group I belong to, this is the group that resonates for me.” And then a redirection into that empowered sense. The one thing to note about the Asian identity model, just like the Latino model, the term Asian is one word for a huge pan-ethnic group of people, and not all people see themselves within the Asian model. So sometimes people need to see themselves within the ethnic model when that pertains to who they are better than this broad Asian category. That’s true for some friends of mine who are Pacific Islanders or Southeast Asian. I have a friend who’s Hawaiian and his conversations within his Hawaiian communities that this Asian model doesn’t speak to them. So just something for us to note. Dr. Chap: A transracially adopted person has to, as John Palmer noted, make sense of three different parts of their identity. First, the fact that they are being raised in [most often] white culture. Second, the fact that the Pandora’s Box is now open — “Oh my gosh, I have an ethnic group that I belong to!” And his study was mostly on Koreans because he is a Korean transracially adopted individual. So he was really looking at the narratives of the Korean community. So the Pandora’s box was this realization that he is Korean and then trying to make sense of that through the engaging and reflecting. What does it mean to be Korean if my school is predominantly white, my family is predominantly white, my community is predominantly white, and the cultural values that I’m being raised by are white values? What does that mean then for me to be Korean? The questioning what I have done is the place where there’s lots of tension then for transracially adopted individual to contend with opening Pandora’s box. What does this mean to my white parents? What does this mean to my friends who saw me a certain way and now I’m trying to name myself as my achieved identity and yet that’s causing a lot of tension? What does it mean for me to go back to my home country and navigate that situation? And then, there’s always the thread of being an adopted individual. Dr. Chap: Biracial identity — Poston and then MPP Root created these two models — the biracial model the multi-racial model. And this one has been really helpful for me as I think about my two children who are biracial and how the language that I used for them was, society says I am … , so I would name their identity. And I found my daughter as she is now a 17 year old really navigating what does it mean for me to be this one identity and not acknowledge the other one? That enmeshment and denial. I don’t even know what it means to be Latina? Yet she understands what it means to be black because she’s a darker shade than I am, darker shade than her brother, and was welcomed by the black community in her school, and really sees herself as a black human being in this country. But was not really clear what it meant for her to be Latina. So she had to sort of think about that. And as she moved into adolescence, she’s come to this sense of appreciation of her duality and really embraces both of those identities now. But she had to do a search at her own time. Middle school was her search of her blackness, and now in high school she’s really navigating her Latinidad. And for the multi-racial people it becomes more complex. You know, I have so many identities, which one do I accept? Which is the dominant one in my family? Who’s the parent that has the most influence perhaps whose culture I’m being raised by? For multiracial people, MPP Root talks about the importance of choosing a single identity, meaning there’s a time when people can navigate that back and forth, until they get to the fluid stage where, at every given time, I may choose one part of my identity or another. I may be accepted by one group because of what my features are, versus another group that I have to actively name myself as being a member of that community. Dr. Chap: This is a model that was created by Alex Wilson, an Indigenous person and scholar. What she talked about was the complexity of identities for indigenous people. It’s not a staged model and it’s much more intersectional. One takes into consideration the indigenous group that they belong to, the sexual identity, the gender, the culture, community, spirituality, ancestors and the earth. Wilson says the identities of an indigenous person have to be seen within the context of all of these other aspects of culture, religion, spirituality, one’s relationship with the earth, one’s relationship with others. Dr. Chap: Looking at Janet Helmes’ white identity model ... As I stated at the start, this model is distinctly different than the people of color models [because in the latter] the goal is to get to an achieved personal sense of who one is and identity. Janet Helms created a model where there are two phases. The first phase [in three stages] is dismantling one’s identity as racist. Reformulating one’s identity as not being associated with race and racism. And so there’s that colorblind ideology where again, similar to William Cross’s model where, race doesn’t matter, race is not a big deal. I don’t see you as a person of color. Oh we’re just the same. That’s the contact stage. But even that white person is having repeated experiences with race and racism. At some point, sometimes this is a really good friend of color who helps this White person make sense of what’s happening. Sometimes it’s the circumstances that that person is living in, perhaps a college experience, moving to a different part of their childhood surroundings, gets them to see race and racism in operation. And that’s where a person either disintegrates and says, wow I didn’t realize that all of this was happening, I didn’t realize race was so prominent. But I don’t know what you do I feel really bad about my people and being white. Or reintegrates with …. the state of, this is not my problem. I didn’t create this. My parents didn’t own slaves. My relatives didn’t own slaves. That’s not a part of my legacy. I was raised to see all human beings as equal. So the reintegration of, this is not my problem. I don’t know how to fix this even. And sometimes blaming people of color for the problems that they’re in is resonant of that reintegration. And all of that has to get worked through. So when a white person then encounters race and racism again, or another racialized moment, they go through like, OK I see what’s happening here. I want to do something about it. I want to figure this out. And that starts the next phase… now I need to know, how is it that I’m supposed to make sense of myself as a white person? This phase is a redefinition of one’s identity as a white person. What does it mean to now be a white person with a new identity that’s not related to white supremacy or white privilege but really is an anti- racist white person? Beverly Daniel Tatum talks about these models being like a spiral staircase. So at some point when you are in those early stages of your development and you’re sort of moving on up the spiral staircase you might get bumped back down. Race and racism is present in society and so you might get back down, but you have perspective. You have a sense that, there’s a better sense of myself that I want to get to, there’s a more empowered sense, there’s a better white ally that I can become. And then you also have perspective in knowing where you’ve come from, the journey that you’ve gone through. So the spiral staircase is important because it allows us to see the fluidity of these models. All right Melissa and Andrew, I have spoken a lot, that was a lot of information! Melissa: I’m so glad that you talked about the staircase. A lot of people are not encouraged to move through these stages. Do a lot of people stay in a stage or never get to three or four? Dr. Chap: It’s really important to say that these are not developmental models. It’s not that between the ages of 5 and 10 and you go through this part and then between 11 and 15 you go through this stage. There are adults who are in those early stages of their ethnic identity or racial identity model. There are children who are well along and have an awareness because of their lived experiences and are pretty much in emersion due to circumstances that are happening. I have a group of black boys in my school community, young black boys, who are very clear given what’s happened in society around the violence towards black men and black boys that they are finding each other and finding solidarity and finding connections. And that’s really important. They’re very far along in that development. Melissa: Chap someone asked about, in talking about Black identity development, the difference between immersion and emersion? Dr. Chap: Yes. So the first one is the person is immersing themselves in their own identity. So finding people of color, or finding particular black people, finding role models, reading histories, going to cultural events. That’s the first part, the immersion into their culture. That immersion lifts the spirit, lifts an awareness, builds resiliency around issues around race, and builds that individual sense of resiliency to move forward. Then the person is able to do the second part, which is to emerse out and then move into internalization and relationship building. When I was in high school I went to a predominantly white high school where there was a small group of Latina girls. I went to an all girls high school and we eventually by ninth grade just found each other. We stayed with each other, we’re still very, very good friends, our children growing up with each other. But that immersion into that grew helped me to see and understand myself in a very different way than growing up in Spanish Harlem where I was surrounded by Puerto Ricans and rounded by Dominicans. Being in that white community, I needed to sort of immerse myself in that group. But once I got my fill, I made a sense of who I was. I knew I could always come back to them whenever I had a moment I had to process. I then joined student government, I was student body president. I was able to put myself out there [emersion] because I had an assured sense of who I was as an individual, within the context of a small group, Latinos, and then the larger group, a predominately white school. Melissa: There are lots of questions questions about how to apply this. You were going to talk a little bit, if time allowed, about how it’s different for kids and how you use models to intervene, support and nurture kids in a school context? I know at your school you’ve done this work for a long time and it’s part of how the school runs. Dr. Chap: So what we know about the way in which children are developing a sense of awareness of differences — so different than racial identity but that’s where we begin, how they notice differences — is that from the time that babies are born, they can notice color contrast, and eventually they move into understanding that there are different physical features that define how people look. So what does that mean in terms of what preschool teachers are doing? They’re assuring that in that classroom situations they have as many positive images related to different color constructs, but also different groups of people. So when I taught three and four year olds, in a predominantly white school, this meant I had a lot of books, a lot of images and posters, that represented different groups of people in positive, affirming ways. That’s one of the ways that we counter the prejudice that they’re already being exposed to by society. By 3 and 4, children are really ready to start making sense of the language that adults are using around race and ethnicity. It gets confusing for two, three, four year olds because the terms that we use for race have nothing to do with people’s skin color. So for early childhood educators they need to have positive affirmations around the skin colors that we use to identify people, but then also help them bridge relationships between skin color and racial terminology. So one way I remember hearing about it from a parent, a white parent raising a white child, and talking about a literature book where there was a black character. You know, she said, well that character’s skin is dark brown. People sometimes call them black. We are light brown, very light brown compared to the person in the story. We use the word white to talk about ourselves. And then the kid says, but I’m not white. Right. You have to always come back to that three or four year old early understanding of the difference between color white and racial construct white, color black, racial constructs black. As children get older they are between five, six and seven, they’re really ready to start grappling with and making sense of their own racial and ethnic identity but also their multiple identities. By seven, seven to nine year olds are really moving into what we call object permanence. They have a sense that things are going to stay the same. Their racial identity will probably stay the same. Their skin color will probably stay the same. And so as they move forward, we want to find ways in the classroom to have curriculum and literature and trips and guest speakers that have positive things to say about different ethnic groups, different experiences, different cultural experiences. Five six seven year olds are also very invested in culture as well as in racial-ethnic ideas. They want to know what it means to be Jewish. What’s a Jewish experience. They are so proud to talk about a Jewish experience that they had, they’re so proud to talk about a parade that they went to. So we want to make sure that the room for that in the classroom and for families to continue to nurture that by taking children to different cultural experiences but also nurture the ones that they belong to. 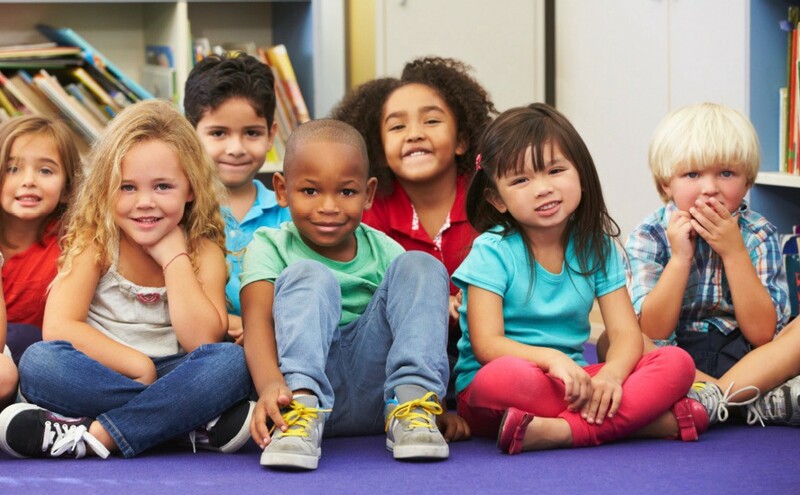 As the children enter into the upper elementary grades, especially for kids who are in the numeric minority in their schools, we want to make sure that we are supporting them in their ethnic-racial identity by providing affinity groups, providing opportunities for them to see each other. You know the book that Beverly Daniel Tatum wrote: Why are all the black sitting together in the cafeteria? (And other conversations about race). And it’s because kids are looking for each other they’re wanting to connect. They’re wanting to find their immersing group. So when schools provide natural organic opportunities for kids and families and teachers to connect around those identities it just continues to affirm them and it prepares them to emerge out of that. Andrew: Thank you, we are getting a lot of questions. We have time for one more before we wrap up. How do you support kids who have a different racial identity than their parents? Dr. Chap: This webinar is the perfect place to start. It’s that idea that the adults need to make sense of their racial construct, especially when it’s different than their child’s racial construct. And any of those models that relate to how a child sees themselves is a good one for the adults to start to read to see, what are the bumps in the road that my child might encounter? And how do I help to navigate that with and for them? So I identify as Latina both my children are biracial. My daughter is black Latina. My daughter my son is white Latino. And one of the things I knew that they both needed was to understand what it meant to have a cultural experience that was Latino while navigating the racial construct right because they both phenotypically look different from each other and society is going to receive my son as a white boy and receive my daughter as a black girl. So just knowing how to listen in for the stories or listening for how the world was receiving them and what questions that they were asking helped me navigate their world with them when they were young. As they got older, particularly like and I mentioned before my daughter going through middle school really immersing herself in her black identity, throughout that I just I listened, but I also reminded her that she had this other identity. I didn’t force it down her throat, I didn’t make her feel bad about not exploring her Latina identity. I just reminded her that it was a part of who she was as well, and that there was resources, there was access. I took a trip to Puerto Rico at some point when she was in that middle school years because I wanted her to know that there was accessibility to information. Dr. Chap: In her living room! Andrew: Thanks for the great turnout, everyone! Nothing but love for you, Chap! EmbraceRace is a multiracial community of people supporting each other to nurture kids who are thoughtful, informed, and brave about race. 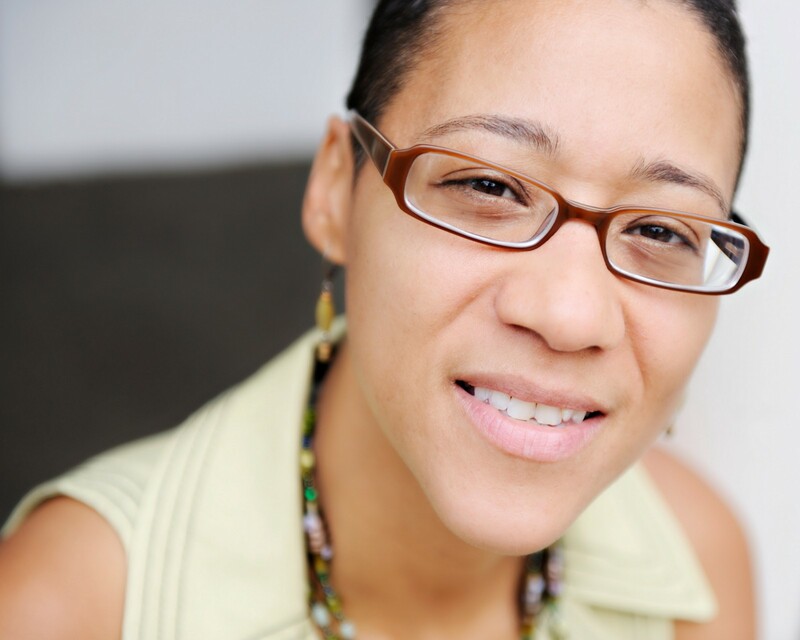 Co-founder of EmbraceRace, a community of support about race and raising kids.